You can find cupcakes with complex flavour combinations in abundance at farmers’ markets, and as elaborate showpieces in shop windows in sophisticated cafés, with prices to match, but what about the good old fashioned homemade cake shop? Anne Lev is one of a dying breed. 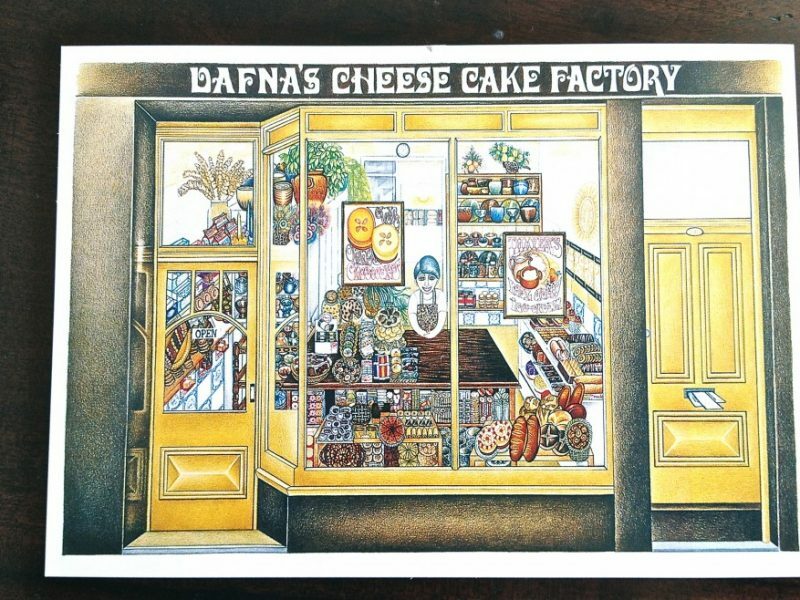 She has manned her business, Dafna’s Cheese Cake Factory, for 35 years, firmly from behind the counter, directing her cake makers in the back kitchen, from where buttery smells emanate through the shop. She started out from home with a winning recipe for a cheesecake in the 70s, supplying local delicatessens, restaurants and wine bars in Liverpool. Most of her customers initially were Jewish, hence the Israeli name of Dafna, and the original cheesecake is still the best seller. The repertoire expanded after the purchase of the current site, into a wide range of cakes for sale: whole or by the slice. At least 25% of the business has always supplied enlightened café businesses which appreciate the no compromise approach on ingredients. My own small chain of upmarket sandwich cafés in the North West was dependent on her supply, even though we had our own cooks on each site who were capable bakers. Her marshalled consistency was hard to beat. She unashamedly uses the freezer, as it is meant to be used, for short periods, and convenience. All the produce is as good when it’s defrosted as when it went in the freezer, just after baking. Whenever I visit Dafna from London, I am reminded what incredible value it is for the quality, but Anne has never sought to make huge amounts of money from her business. She likes it that students have always been customers, and now they bring their children. She maintains there is no rent to pay and prefers to pass on this benefit to her customers. This kind of dedicated single shopkeeping is rare these days in the UK. In France, there is pride in owning the very best fromagerie, boulangerie, patisserie or epicerie. In the UK the format often is, after an initial prototype, on to a roll out of multiple units. And this despite the growing interest in local produce and owning smart delicatessens. Independent greengrocer shops with earth-covered carrots and potatoes, and local unwrapped strawberries and raspberries, are rare. Most of us are just not up to it somehow: the all night baking, or the early starts in the fruit and vegetable market. We want to be owners of multiple sites selling speciality produce, sitting hands off importantly in offices. Anne Lev is one feisty lady. 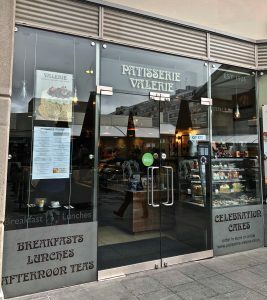 She says dramatically she will die behind the counter, but judging by her energy and fitness, thankfully when up in Liverpool, I will have many more years of buying moist, tangy lemon and polenta cake, blueberry and orange, or apple and prune cake, at bargain prices.